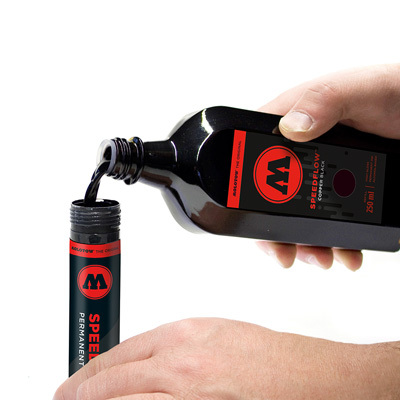 The refill ink for the Molotow Masterpiece Speedflow Marker - the Molotow Cocktail 250ml Speedflow Ink Copper Black! Fast drying, highest opacity, permanent, weather resistant and shiny black. 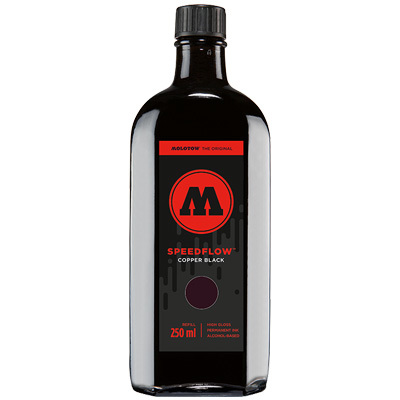 The Molotow Cocktail Speedflow Ink comes in a safety glass bottle, as it is also used in chemistry or medicine. 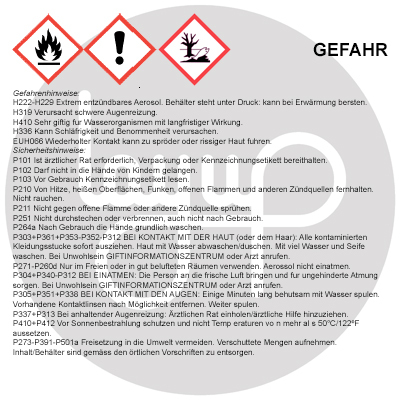 It is an alcohol-based special ink with synthetic bitumen. 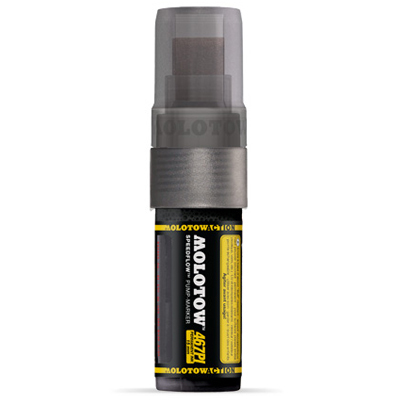 The special composition allows fast working on large surfaces.